Since summer and orange is in the air, let me review one of my favourite nail paint color of recent times in ORANGE !!! 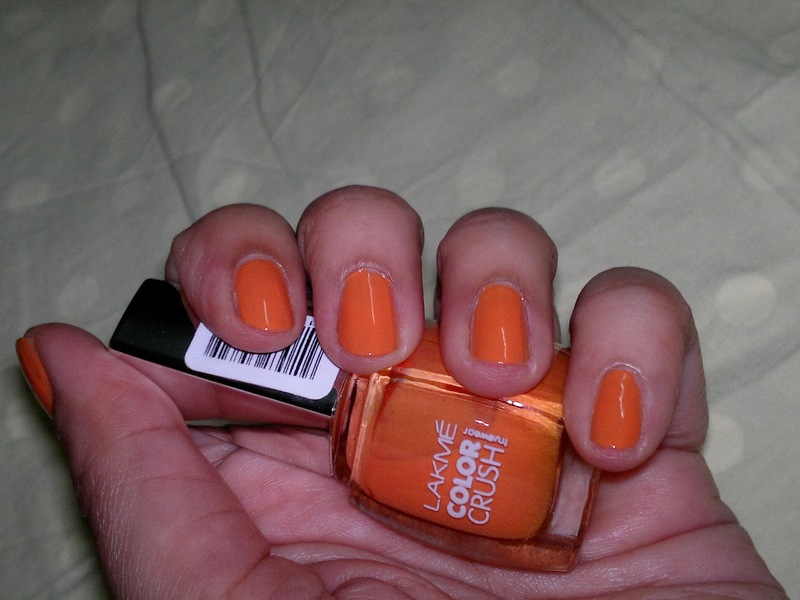 The colour is from the Lakme Colour Crush Range in shade # 07. Price: INR 125 for 9 ml of the product ( I got this on a discounted price of INR 107). I had got this a some time ago and forgotten completely about it, when my eyes fell on this one day while I was sorting out my vanity. 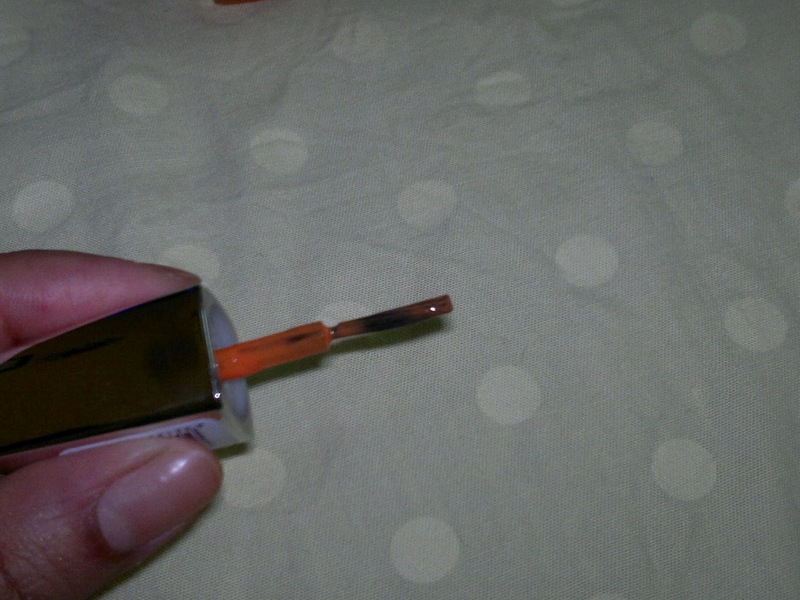 Packaging is standard with a square shaped bottle and a silver cap which houses the nail paint brush. Just love the colour, it's so summery and cool. Though would not be very suitable for office wear, it's totally cool for a party or vacation. 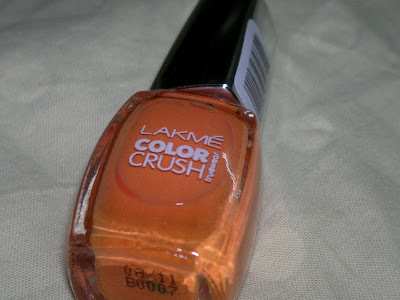 Quality wise, nothing great to write about much, in fact I noticed that these nail paints chipped faster than the standard Lakme nail paints (started chipping from the second day itself). But, I am in love with this colour, so go for it if you love orange (though it will make your hands look a little tanned), I feel it is a great summer colour. Product rating: B, available at most Lakme counters and online shopping websites, would recommend this range entirely for the bright and peppy shades, a pleasant change from the boring maroons and browns (which Lakme is known for). Looks good on your nails.